Porter Paints High Gloss Interior / Exterior Oil. Mixture is for 1 quart. 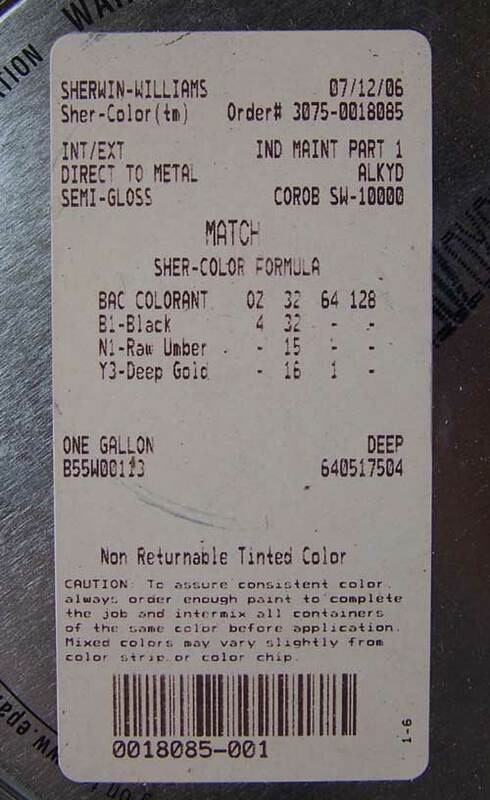 Keith O'Boyle also suggest that Benjamin Moore "Impervo Alkyd High Gloss Metal and Wood Enamel" custom mixed to color #1575 is an exact match to the original W-T greenish blueish gray color.